Prime Minister Narendra Modi on Sunday digitally laid the foundation stone of the Government Engineering College here and Model Degree Colleges for Kanubari and Namsai along with 150 other projects under RUSA for different states and union territories from the Sher-E Kashmir International Convention Centre in Srinagar. Arunachal Pradesh sports and youth affairs minister Mohesh Chai along with IGGC principal K Megu, SDO K Karmakar and all the district heads and public leaders witnessed the webcast of the national event at the NIC here. 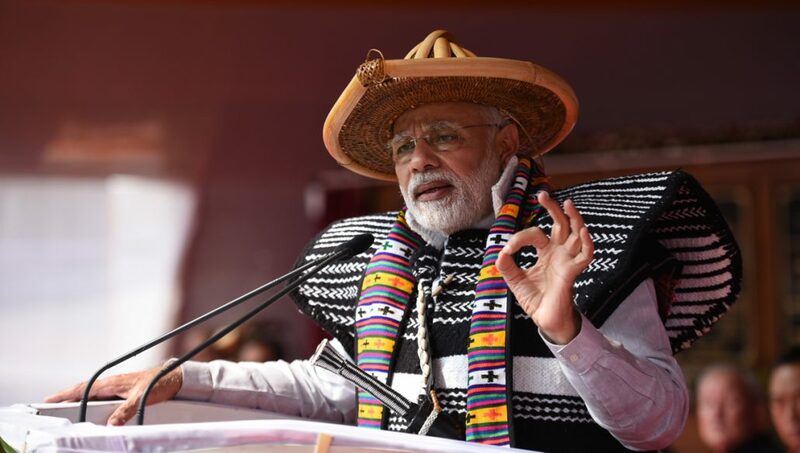 Dr Chai thanked Modi for the “gift to the people of Arunachal Pradesh,” and said it would provide a golden opportunity to the poor students for availing technical education. Karmakar said the engineering college would add a milestone in the field of technical education in the State. Dr Megu thanked Chief Minister Pema Khandu and his Cabinet colleagues besides the PM for approving the engineering college. He was optimistic that the iconic institution would go on to make Tezu an education hub and fulfil the long-cherished dream of the indigenous people for technical education. Meanwhile, deputy Chief Minister Chowna Mein said the much needed Model Degree College is the first government higher education institution in Namsai district. It will cater to the need of the students of the district and will consist of both Arts and Science stream. While congratulating the people of Namsai for the Model Degree College, he called upon them to make full utilization of the institution and strive to make it the best educational institution in the State by providing quality education to the students. He, however, said that efforts must be done to make the foundation strong right from the lower level of education to the students. Mein exuded hope that the institution will help to transform education system and improve the literacy percentage of the district which is only 54% as per the 2011 census. MLA Kanubari, Gabriel D Wangsu said the state is moving ahead in right track as many good things are happening under the able-leadership and guidance of Chief Minister Pema Khandu and the senior leader deputy Chief Minister, Chowna Mein.